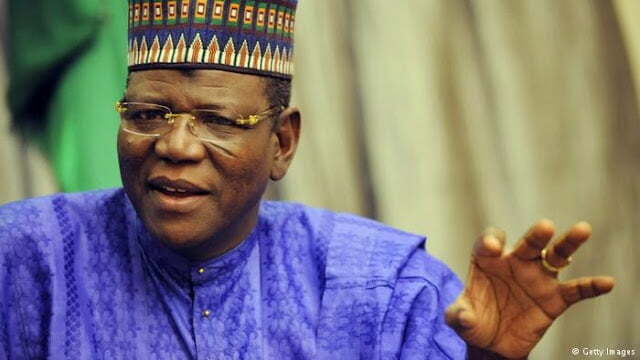 Sule lamido, former Jigawa state Governor, on Thursday mocked President Muhammadu Buhari and a Chieftain of the All Progressives Congress (APC), Bola Tinubu, over the current fuel situation in Nigeria. The Peoples Democratic Party, PDP, Chieftain also jeered at Buhari and Tinubu over the ongoing Federal Government’s anti-corruption fight. Speaking in Abuja, Lamido said Buhari should lead a protest against the fuel situation. Lamido who is currently facing corruption charges, also questioned the integrity of the All Progressives Congress, APC-led Federal. The former governor referenced the president’s involvement with the Abacha government, and the looting that took place under that government. “The Attorney General has only recently signed agreement for return of another money stolen by Abacha, and someone said he did not steal anything,” he said. Tinubu, who was represented at the event by one of his allies, Wale Edun, had earlier called for the scrapping of any subsidy on petroleum.